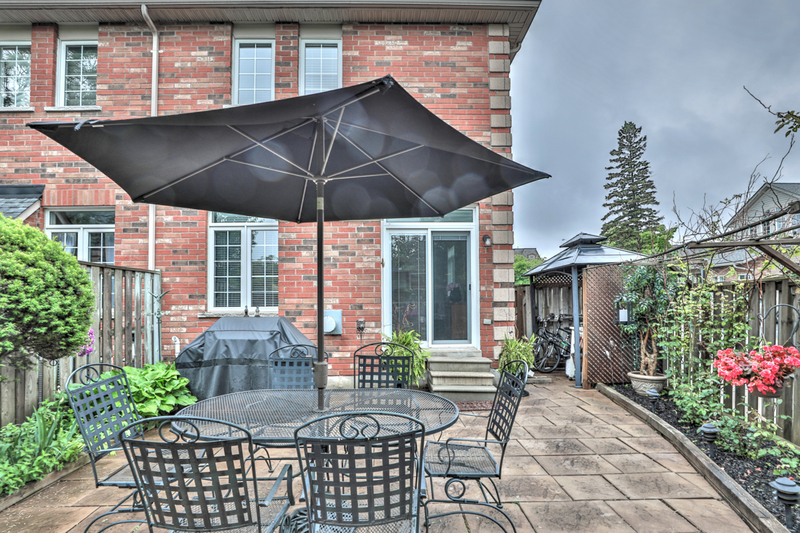 GREAT LOCATION, END UNIT, FREEHOLD, NO CONDO FEES - Walking distance to Downtown Oakville, the lake, shopping, and restaurants. 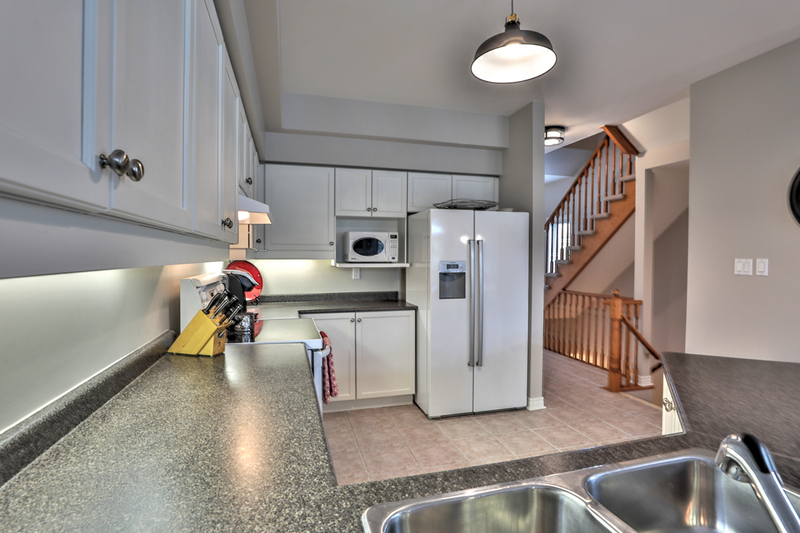 NEWLY UPDATED 3 Bedroom, 3 Bathroom freehold townhouse with brand new broadloom throughout, new furnace, AC and fridge, renovated laundry room, and new clothes dryer. 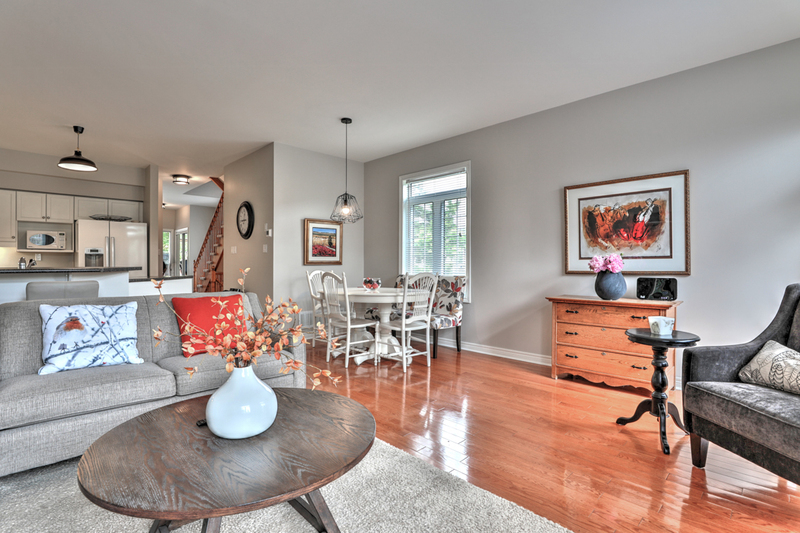 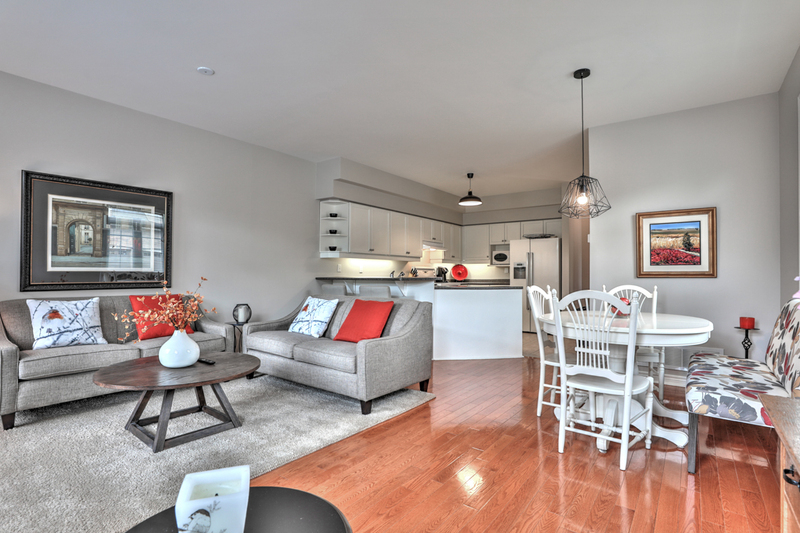 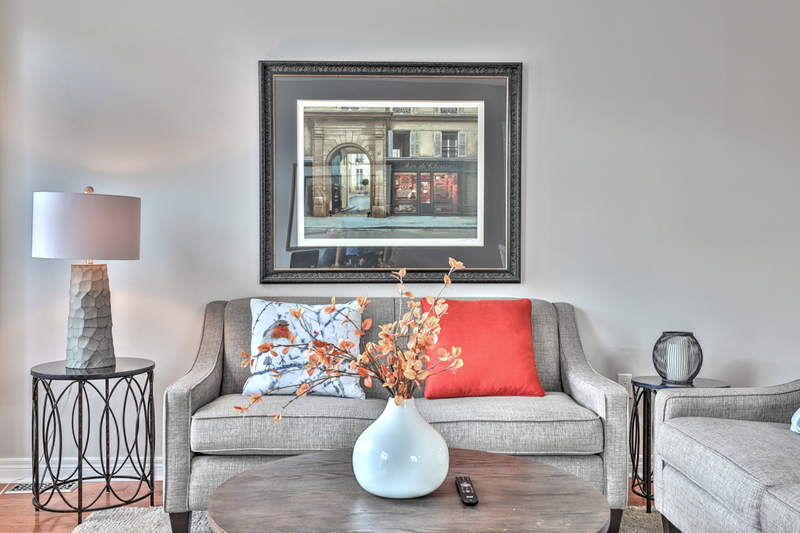 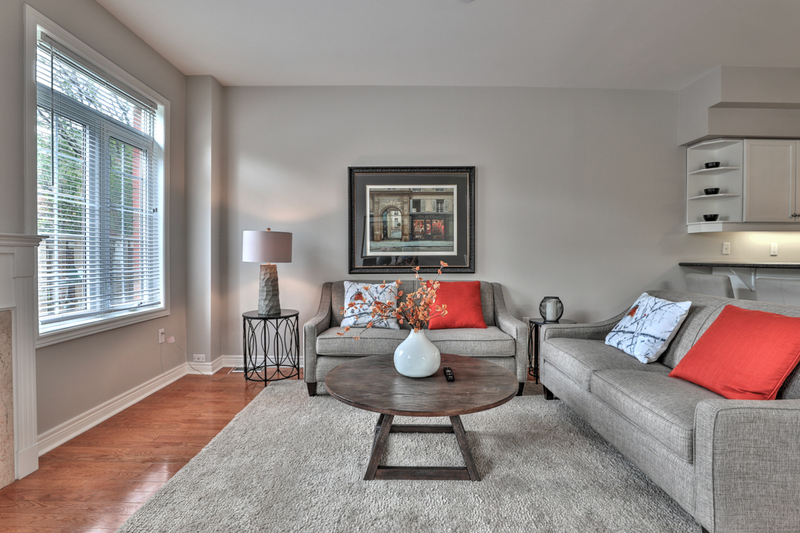 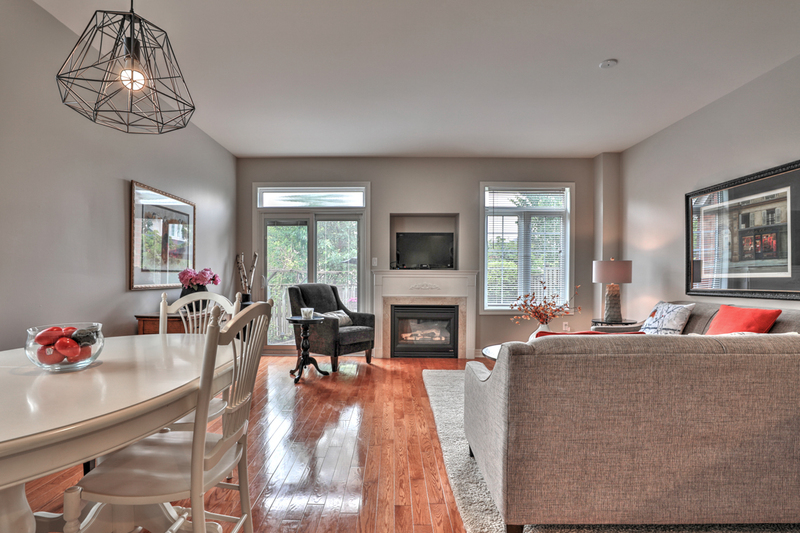 This immaculate townhouse boasts 2 gas fireplaces, 9' ceilings and hardwood floors on main floor. 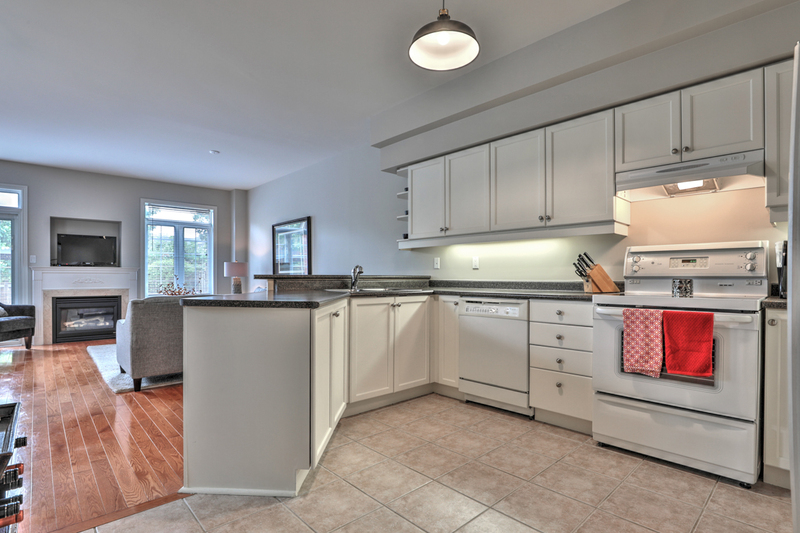 Open concept kitchen with breakfast bar, under cabinet lighting, bright side-window in dining room, walk-out to a nice private maintenance-free patio. 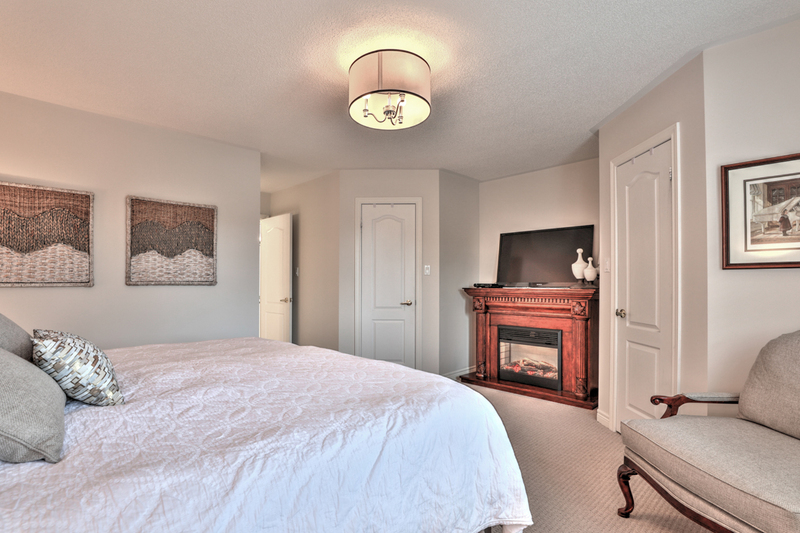 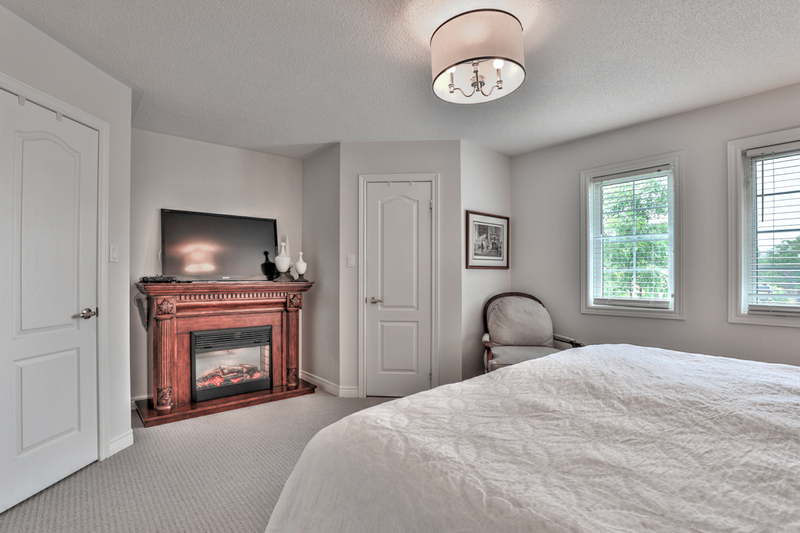 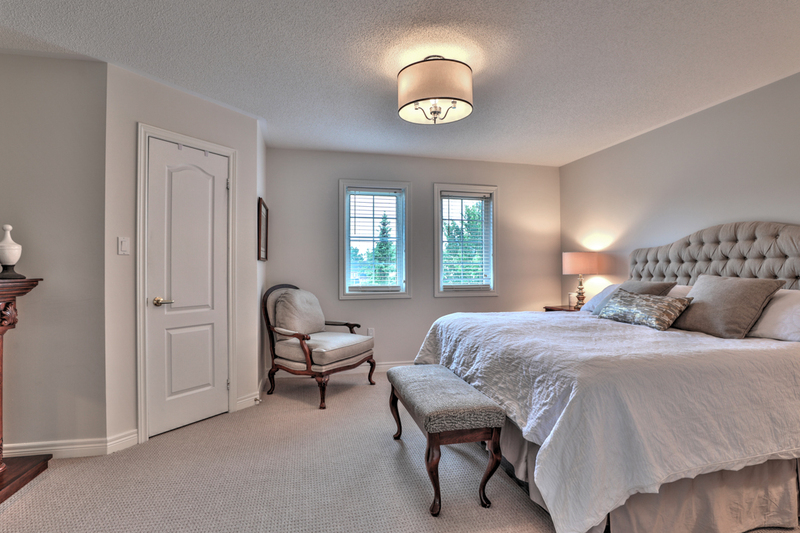 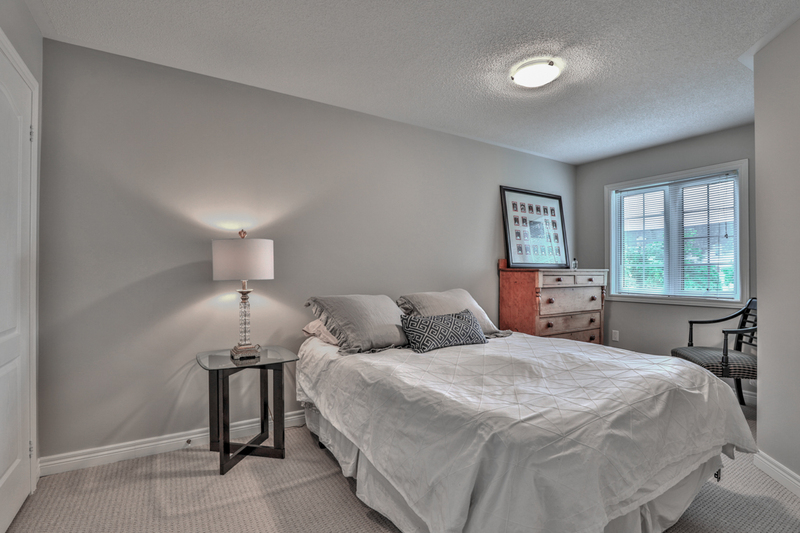 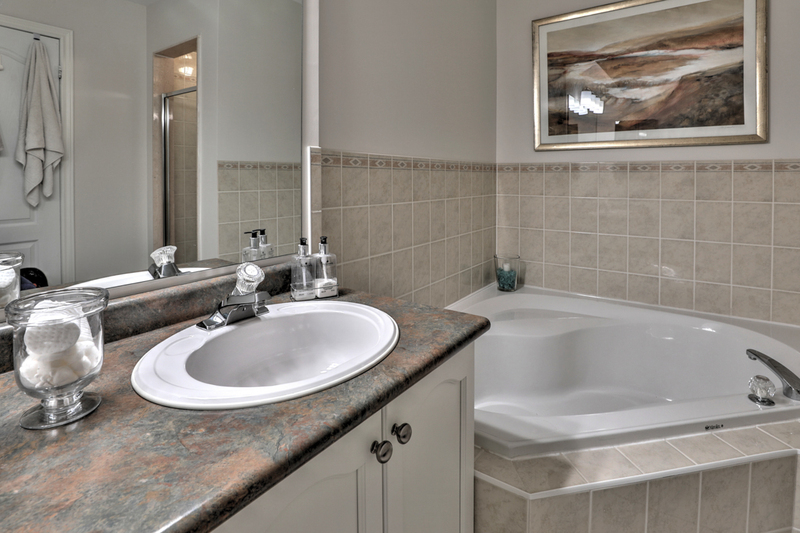 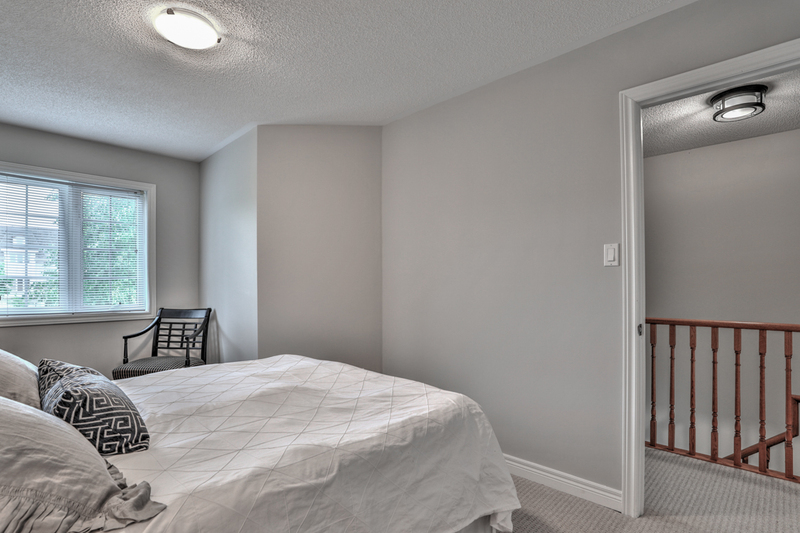 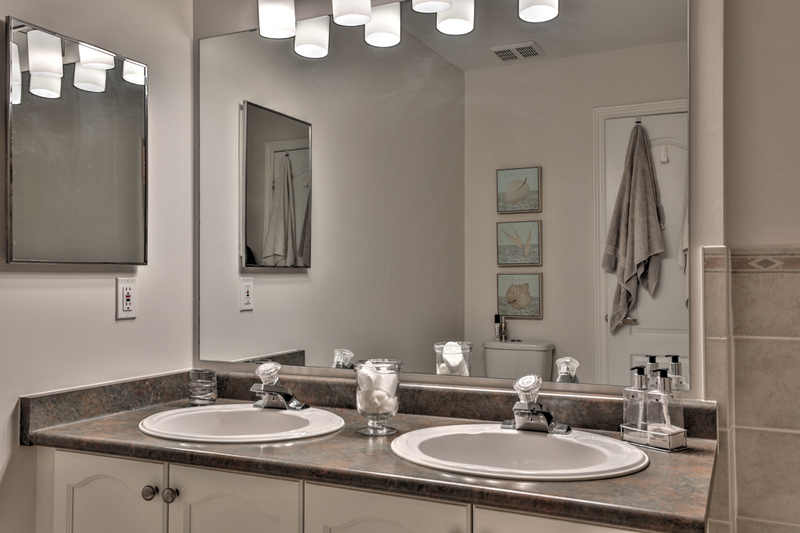 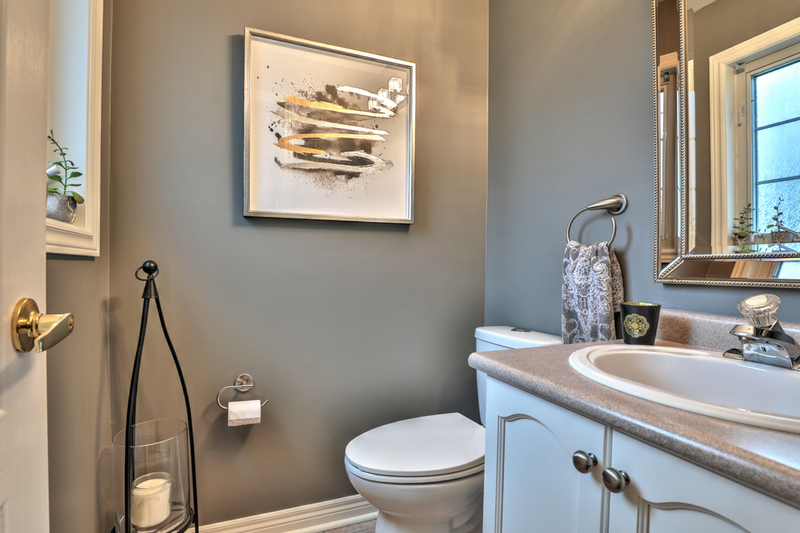 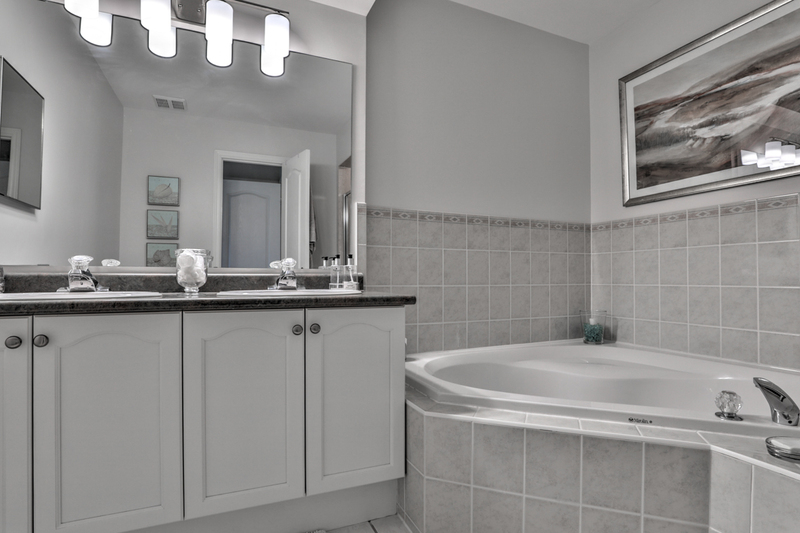 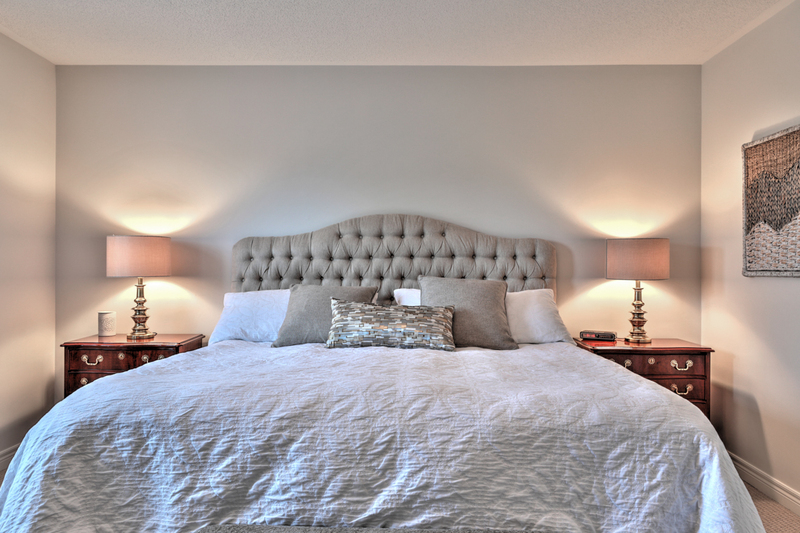 Spacious master bedroom features two walk-in closets and upgraded ensuite with double sinks, deep corner soaker tub, and separate walk-in shower. 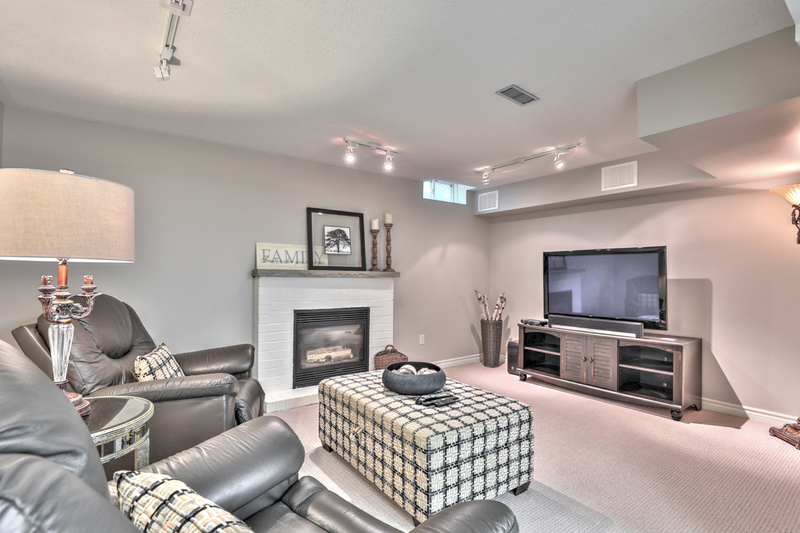 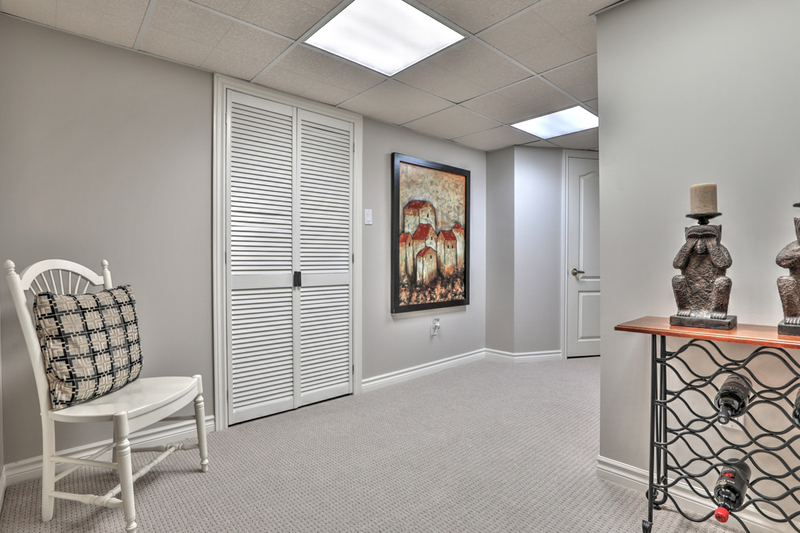 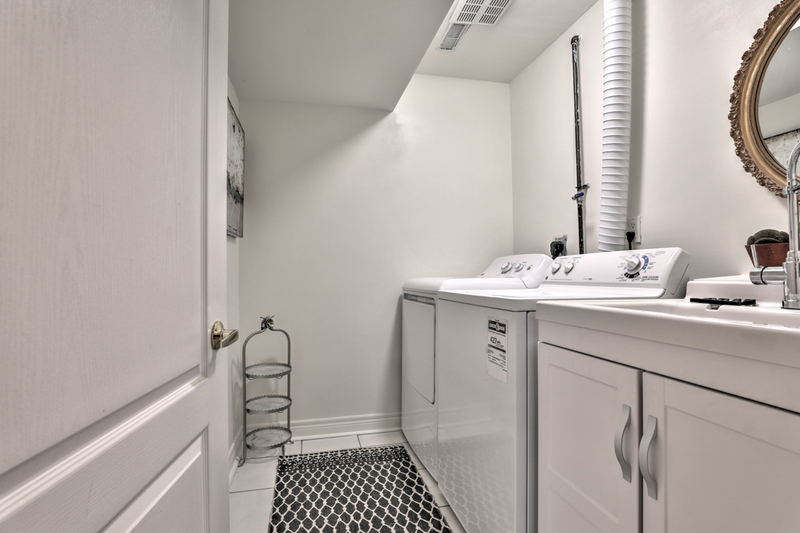 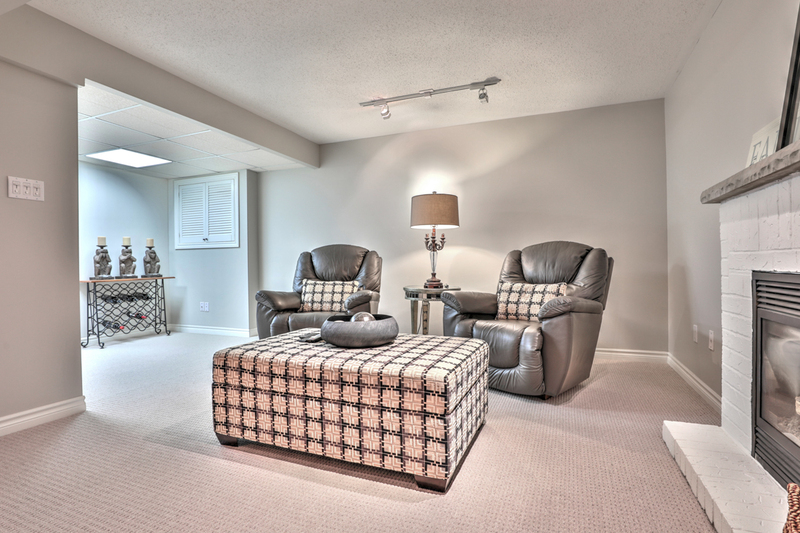 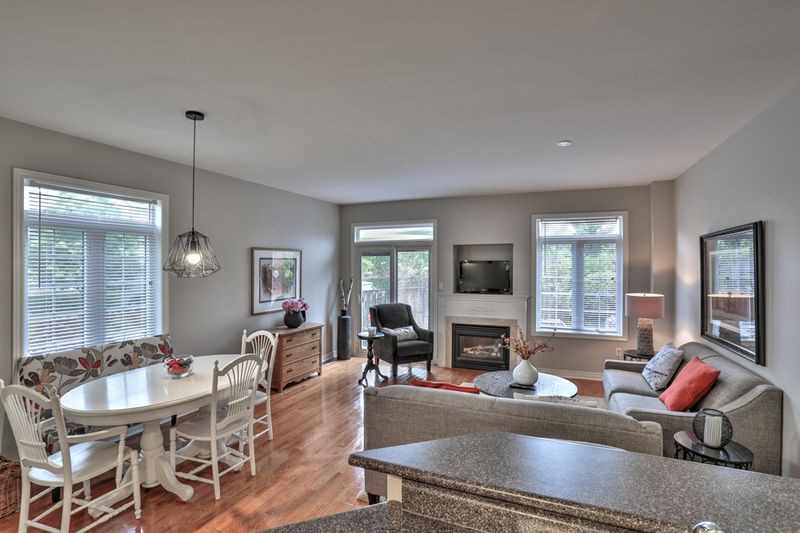 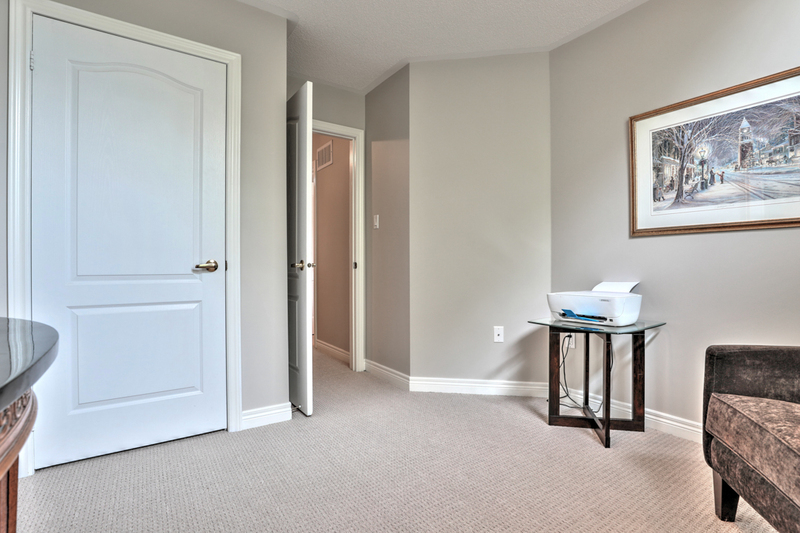 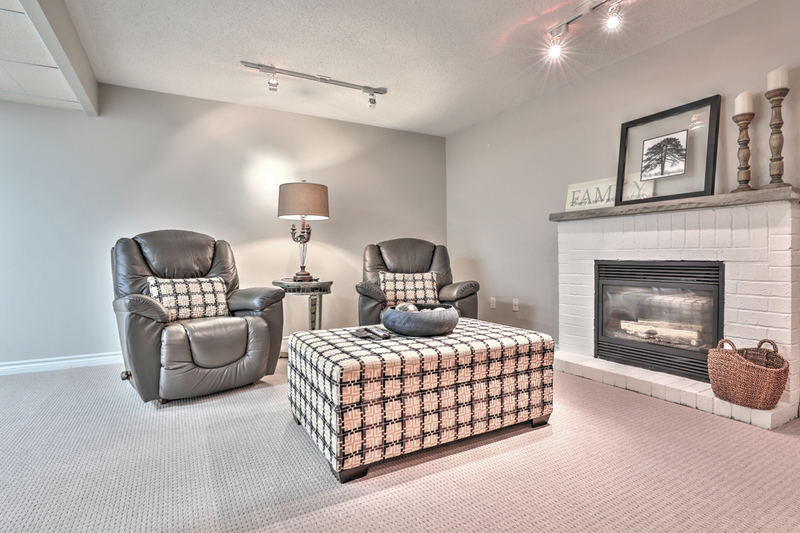 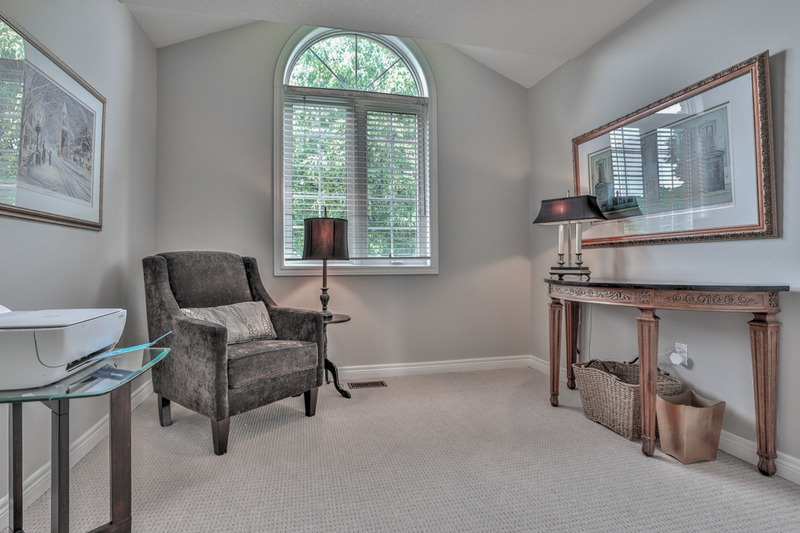 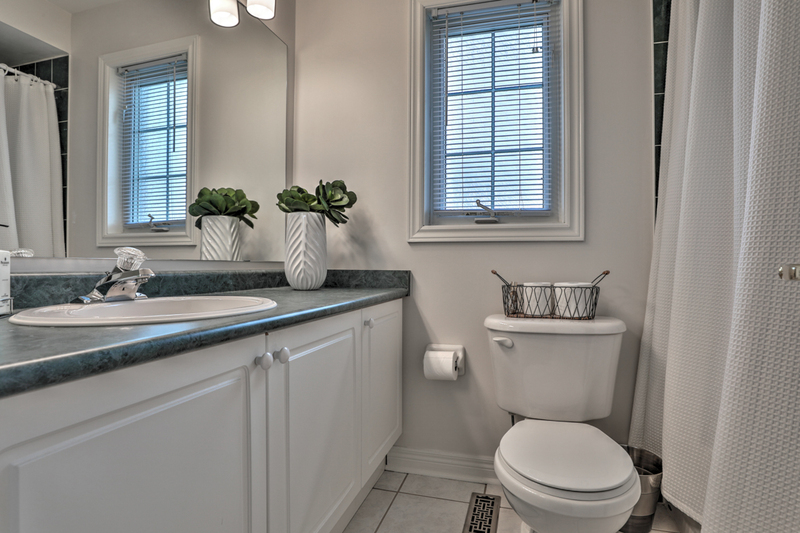 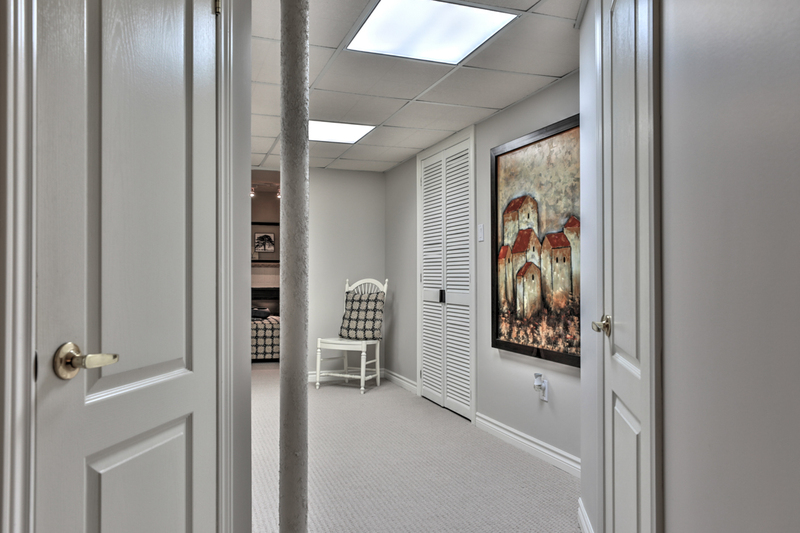 Basement is fully finished offering a large recreation room, gas fireplace and rough-in for a bathroom. 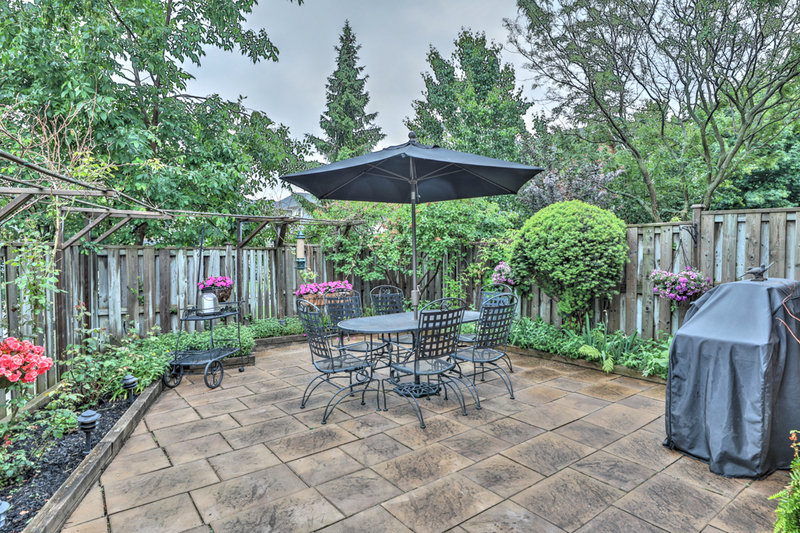 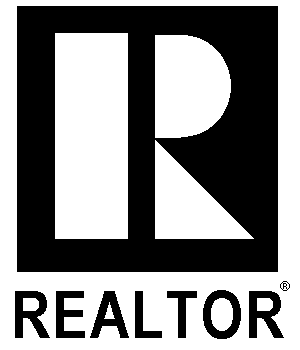 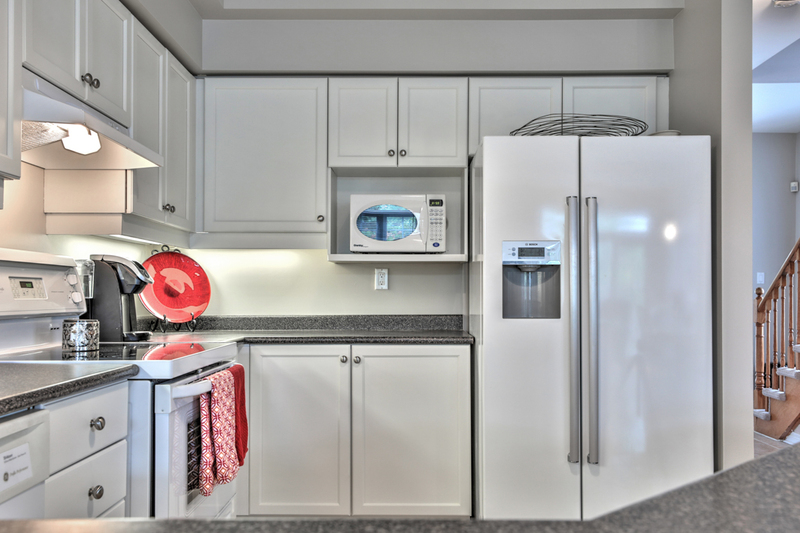 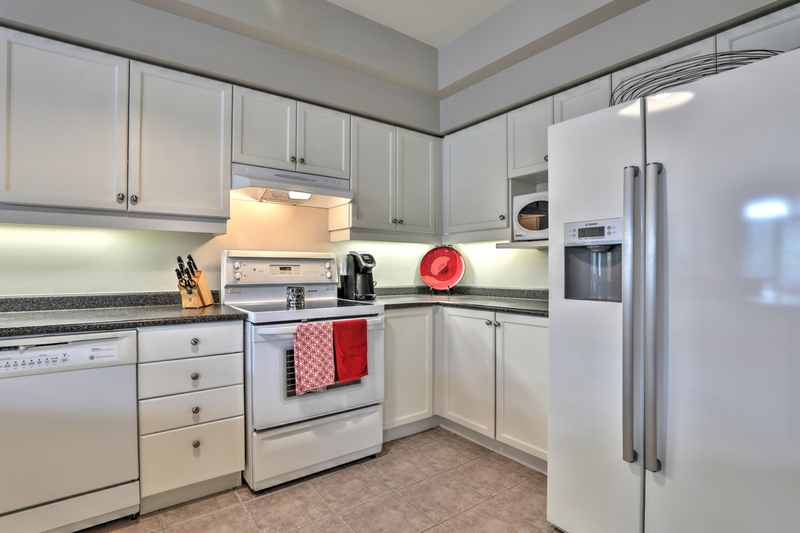 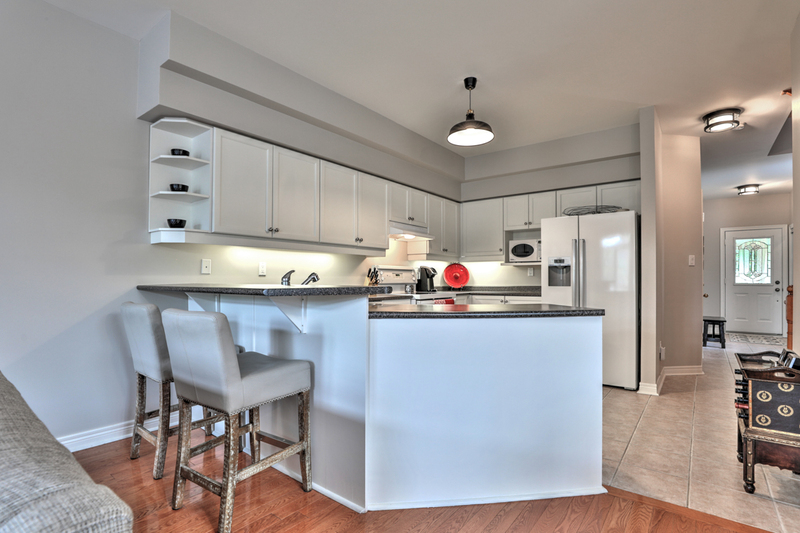 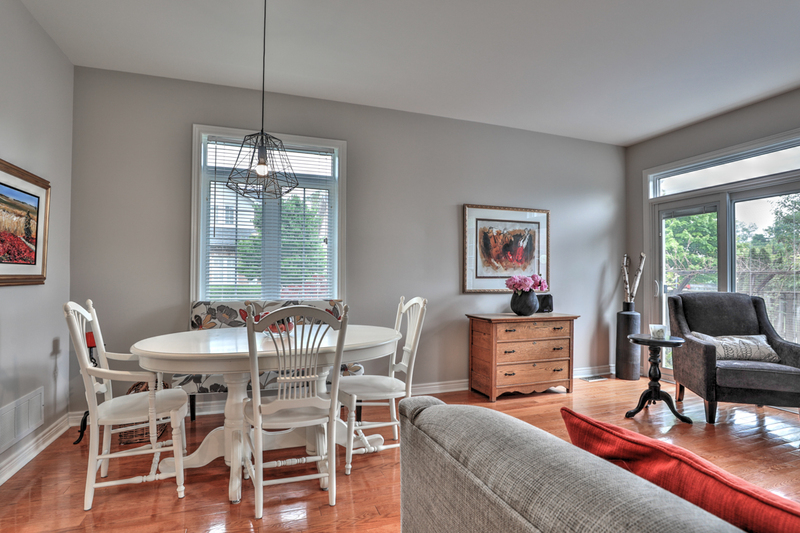 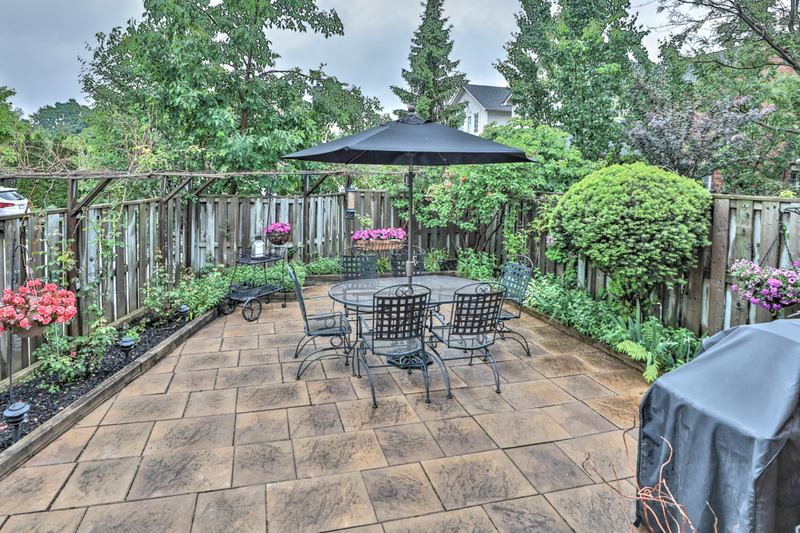 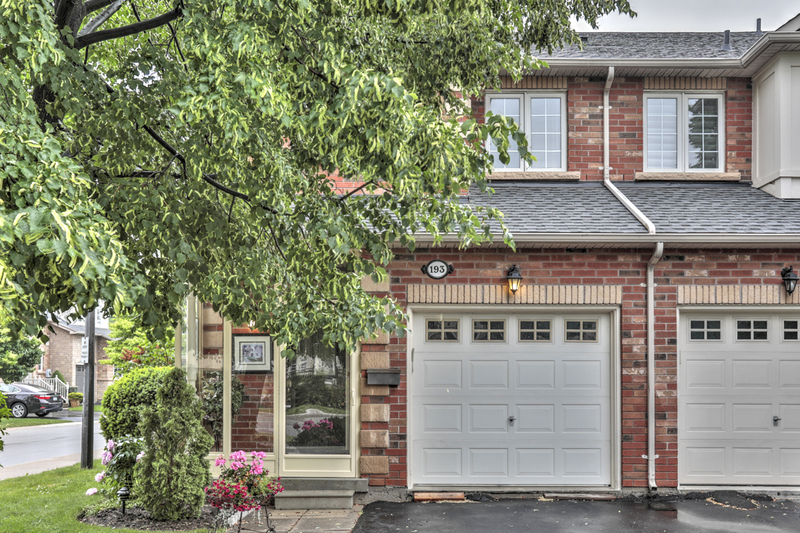 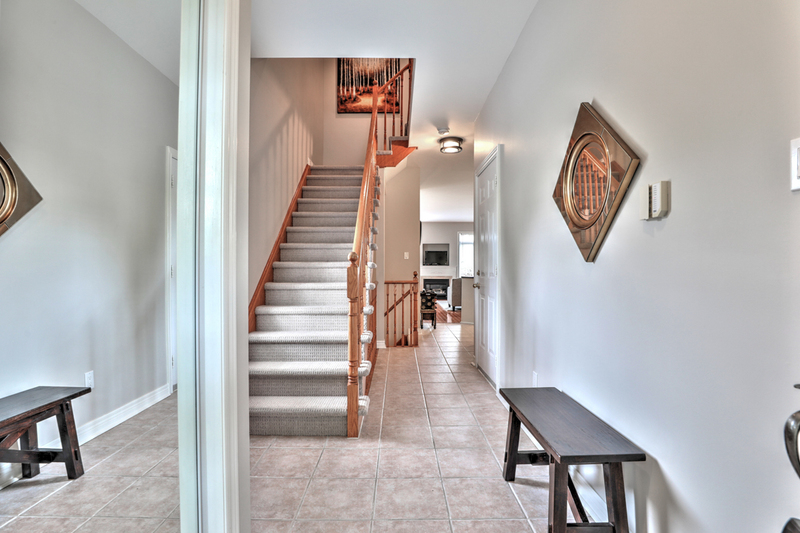 Conveniently located close to two Go Stations and several public schools.